You can change the Advanced Search type. This option applies globally on all header types. You can choose between 9 types. You can enable or disable the Advanced Search from all header types. 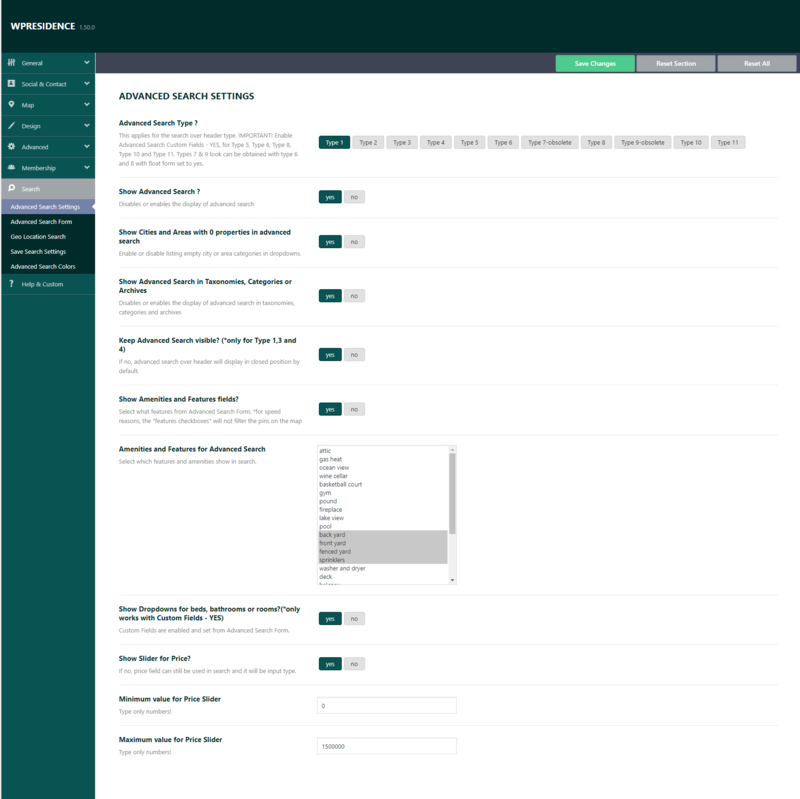 You have the option to show advanced search for specific pages only. You can choose if wish to display taxonomies with 0 properties in search fields dropdown options. 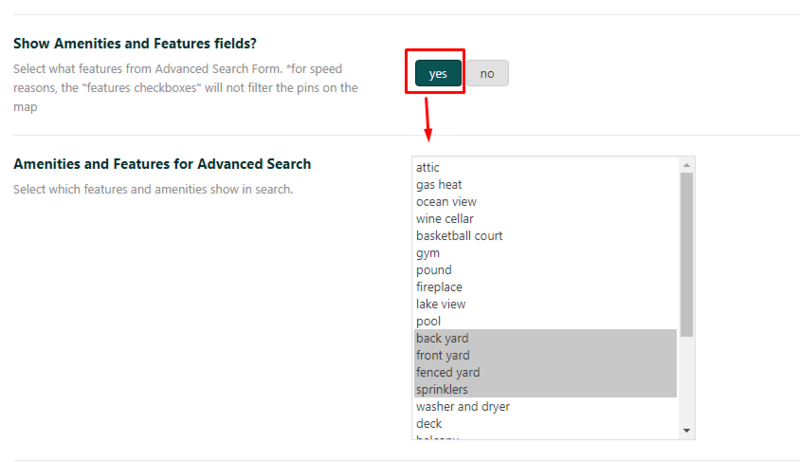 You can enable or disable advanced search in taxonomies, categories and archives. Show Amenities and Features fields? You can set the global Price range for Price Slider (if enabled). Type only numbers. Show Dropdowns for beds, bathrooms or rooms? Only works with Custom Fields enabled.